It is recommended to stay away from fried, fatty or spicy foods within 24 hours of kick-off. To empty out the stomach and upper small intestine, your pre-game meal should be at least 3-4 hours before the match. From that point on, stick to liquids. Make sure you are well hydrated and drink plenty of fluids before, after and (when possible) during the game. Throughout the rest of the week, you may eat protein (meats) but try to keep it low-fat. 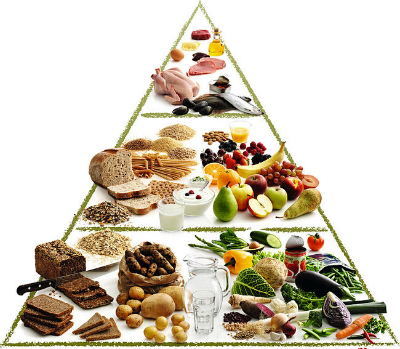 The basic idea is to have your body store its calories from complex carbohydrate foods. Players burn approximately 1700 calories per game while the body can only store about 600 per day.